Murder by Gaslight: The Notorious Mrs. Clem. The sensational murders of successful businessman, Jacob Young and his wife in Indianapolis, in 1868, exposed a web of financial fraud involving some of the most influential men in the city. Circumstantial evidence soon pointed to Mrs. Nancy E. Clem, mastermind of the fraudulent scheme, as the perpetrator of the murders. The notorious Mrs. Clem, however, proved remarkably hard to convict. Jacob Young was a “broker upon the streets”—one who loans money and trades notes without a regular office— in Indianapolis in 1868, and in several respects, his business was somewhat peculiar. His clients were among the most prominent in the city, but he insisted on the utmost secrecy; his two partners, Mrs. Nancy E. Clem and William J. Abrams, worked the same way, and the interest rates that they promised were extraordinarily high. Each member of this “ring” lived the lifestyle of a successful business person, but even when the business was made public, and the books were opened, no one knew for sure how they were making money. Some believed that they were counterfeiters, Indiana had been a center of counterfeiting before the Civil War, but none of the members had the required skills. More likely, it was a “rob Peter to pay Paul” system (what would later be known as a Ponzi scheme) where early investors, like Dr. Charles Duzan, were paid off using money from later investors. Charles Duzan dealt exclusively with Mrs. Clem, an attractive and personable woman, adept at sales, who was the reputed mastermind of the ring. She kept her business a secret, even from her husband, and it was likely that her clients were not aware that she had partners. Duzan realized a profit of $9,000 in just four months. He made several more loans to Mrs. Clem, in ever increasing amounts, starting at $500, and going as high as $20,000. Others were not so lucky, Ann Hottle, Mrs. Clem’s dressmaker, loaned her $935 at 20% interest, but when she got cold feet and asked for the principal back, Mrs. Clem refused. The problem with a scheme like this is that it cannot continue forever, and it was important to know when and how to get out. With a $20,000 note overdue at 25% interest, Jacob Young thought the time was right. On September 12, 1868, took between seven and nine thousand dollars, in thousand dollar and five hundred dollar bills, and left town with his wife. Their bodies were found the next day by the river near Cold Spring. He had been shot in the face; a shotgun was found at the scene. She had been shot in the head and severely burned from the chest down. It was first suspected to be a murder and suicide, but the shotgun was too far from the body for theman to have used it on himself. The woman had been hit on the head with a blunt object and shot with a pistol. A woman’s shoeprint, not made by the victim, was found in the mud near the bodies, and a horse’s hoof prints nearby were made by a distinctive horseshoe style. 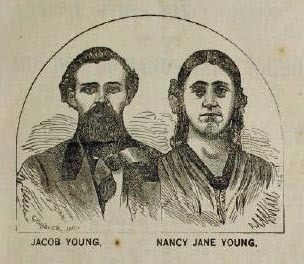 In spite of their condition, the bodies were soon identified as Jacob and Nancy Jane Young, respectable citizens if Indianapolis. No motive could be determined until several circumstantial clues pointed to the probable killers. The shotgun, traced to a local pawnshop, had been purchased the morning of the murder by William Abrams. 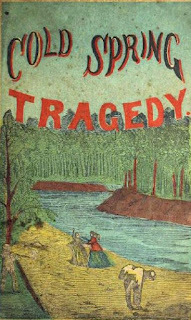 A man named Silas Hartman had rented a buggy that day and the horse wore the distinctive horseshoes that made the prints at the murder scene. Silas Hartman’s sister, Nancy Clem, owned a pair of shoes that matched the footprint. The Youngs were seen traveling rapidly toward Cold Spring that morning, with another unidentified woman in the buggy. They were followed closely by William Abrams and Silas Hartman in a second buggy. When the police learned that Clem and Abrams had been in business with Jacob Young and that Young had been carrying a large sum of money that day, the pieces fell together to their satisfaction, and the three were arrested for murder. The three defendants were to be tried separately, with Mrs. Clem to be tried first for the murder of Nancy Jane Young. Because of the brutal nature of the crime and the novelty of trying a woman for murder, interest in the trial was intense. Realizing that the same testimony would be used in three trials, Judge Chapman issued an order prohibiting newspapers from printing any of the testimony from Mrs. Clem’s trial to avoid contaminating the pool of potential jurors. Two Indianapolis newspapers violated this order the next day and were fined for contempt of court. After meeting with editors, Judge Chapman rescinded his order. The prosecution the case was led by District Attorney Benjamin Harrison, who twenty-one years later would become the 23rd President of the United States. More than a hundred witnesses were sworn in to testify for the state. Silas Hartman was on the witness stand for two and a half hours, claiming that he was at his brother’s house, twelve miles in the opposite direction, on the day of the murder. His brother Mathew corroborated, and “made bad work” at trying to explain the workings of Silas’s loan business. Testimony continued for three weeks, but the evidence against Mrs. Clem was highly circumstantial and not strong enough to convince all twelve jurors. They were unable to reach a verdict and the trial ended with a hung jury. The second trial ended in a conviction, but reluctant to execute a woman; the jury found Mrs. Clem guilty of second-degree murder and she was sentenced to life in prison. Her attorneys began an arduous appeal process. In March 1869, Silas Hartman, awaiting trial in the Indianapolis jail, surprised everyone by issuing a confession, of sorts. He claimed that the Youngs were killed by a man named Fiscus, and a prostitute named Frank Clark—the unidentified woman seen in the Youngs’ buggy. Hartman said that a man named Dorsey instigated the murders. He and Mrs. Clem knew of the affair and received part of the money, but were not directly involved in the killings. The following day, Hartman committed suicide in his jail cell by cutting his throat with a razor. Hartman’s confession was not taken seriously, much of what he said had already been contradicted by sworn testimony. The names Fiscus, Clark, and Dorsey, however, would come up in future trials. The trial of William Abrams was held in September 1869. His attorneys moved for a change of venue, but the motion was denied. 207 prospective jurors were called before twelve men were selected. The trial covered no new ground; Abrams was found guilty of second-degree murder and sentenced to life in prison. The Indiana Supreme Court did not rule until December 1870. The technical issues raised by the defense– the jurisdiction of the Marion Criminal Court, the fact that the indictment was returned after the Grand Jury’s term had expired – were dismissed as immaterial. But something in the judge’s instructions to the jury did not suit the Supreme Court; the case was reversed and Mrs. Clem remanded for a new trial. As the murder faded from memory, public hostility against Mrs. Clem subsided and by the time of her new trial, many expressed a belief in her innocence. She was scheduled to be tried in April, but the trial was delayed due to objections from the defense. Their motion for a change of venue was denied, but they contended that Mrs. Clem could not be tried for first-degree murder since, even though the case had been thrown out, the former jury had found her guilty of second-degree murder, and she could not be tried a second time for first-degree murder. This this controversy led to a continuance until June 1871. The case was postponed again until July, and some believed the defense’s strategy was to delay until all the witnesses had died or moved away. In a related case, Caroline Prather, a woman of low repute, was suing W. J. H. Robinson, a private detective who had arrested Prather as the “other woman” in the Young’s buggy. Robinson used extreme methods attempting to force Prather to confess and the court awarded her $3,000 in damages. Outside of court, William Fiscus, who was mentioned in Hartman’s confession, showed the press an affidavit from a detective named L. Louis Graham, who claimed he was hired to buy testimony and suborn witnesses to help Mrs. Clem. 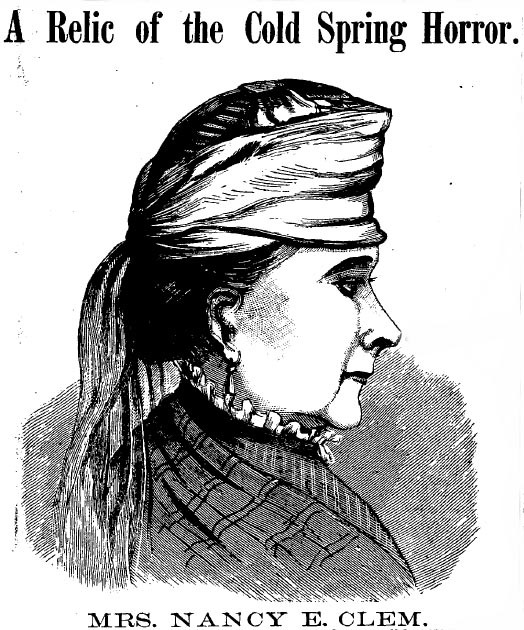 After more delays, Mrs. Clem’s third trial began in September 1871. Rather than challenge the defense’s claim that she could not be tried for the first-degree murder of Nancy Jane Young, the prosecution used the other indictment against Mrs. Clem and tried her for the first-degree murder of Jacob Young. This time, the defense motion for a change of venue was allowed, and the case was tried in Lebanon, Boone County. Mrs. Clem was moved to Lebanon, and the state’s witnesses had to be transported daily from Indianapolis. The trial lasted nearly a month and ended in a hung jury—six for conviction and six for acquittal. “The regular spring trial of Mrs. Clem will commence at Lebanon, Boone, County, Monday,” reported the Indianapolis Evening Journal on Friday, May 31, 1872. “It is understood that no additional evidence will be produced but that with which the public has already become familiar, but the result will nevertheless be awaited with interest by the tens of thousands who remember with such startling distinctness the circumstances of the Cold Spring tragedy." 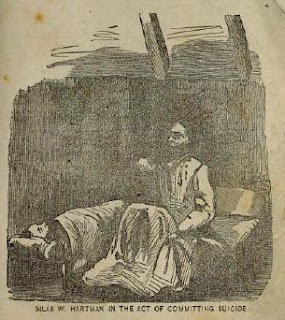 As the Journal sarcastically implied, the trials of Mrs. Clem had become routine, and public interest had ebbed. The counties, too, were tired of the trials, and before the start of the Mrs. Clem’s fourth trial, Boone County and Marion County were in dispute over expenses incurred in the third trial. The fourth trial lasted twenty-five days. The jury deliberated less than an hour before returning a verdict of guilty of first-degree murder and a sentence for Mrs. Clem of life in prison. Of course, the defense appealed the verdict. Their main argument was that the murder of Jacob Young was the same crime as the murder of Nancy Young. Since Mrs. Clem had been found guilty of second-degree murder of Nancy Young in the overturned second trial, she could not now be tried for first-degree murder for the same crime. The Indiana Supreme Court agreed, and the case was sent back to the lower court for retrial. It is sometimes reported that Nancy Clem was tried five times for murder. In fact, the fifth trial never took place. Mrs. Clem remained in jail until April 1874 when the prosecution filed a motion of nolle prosiqui, dropping the charges against her. By that time, most of the prosecution witnesses who were still alive had left the state. The trials had already cost Marion County nearly $20,000, and it could not afford the expense of bringing witnesses back to Indiana. Without them, the prosecution had no case. Mrs. Clem was free. “Consciousness of my own innocence has preserved me.” Mrs. Clem told reporters when asked how she managed to look so well after such a long confinement. In spite of being a social outcast in Indianapolis, Mrs. Clem was determined to return to business, this time with the help of her husband. In succeeding years, Mrs. Clem had a few more brushes with the law. In 1878, theft of a $1,500 note led to a charge of grand larceny, and ultimately a four-year prison sentence for perjury. Her husband divorced her while she was in prison, and on her release, she sued to have the divorce annulled. In 1892, an Indianapolis man named John Martin died while under treatment from a female physician, named Mrs. Dr. Patterson. Police discovered that Mrs. Dr. Patterson was Mrs. Nancy Clem and sought her in connection with Martin’s death. It was believed that she had fled the country. 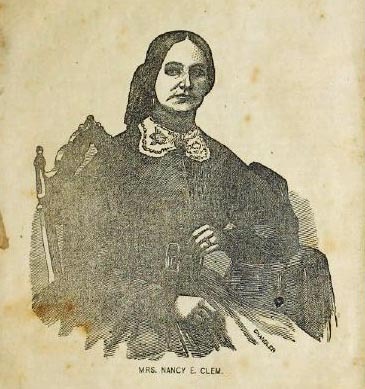 Mrs. Nancy Clem died in Indianapolis in 1897. Her death prompted newspapers to retell the story of the Cold Spring murders and to speculate again on the still unsolved mystery of how Mrs. Clem made her money. "A Murder Trial." Elkhart Weekly Review 24 Dec 1868. "Another Chance." Indianapolis Sentinel 14 Jun 1873. "Arrested fpr Murder." Cleveland Leader 17 Sep 1868. "Confession and Suicide." Sun 15 Mar 1869. "Criminal Circuit Court." Indianapolis Journal 12 Jul 1871.. "Free." Indianapolis Sentinel 30 Apr 1874. "From Indianapolis ." Cincinnati Daily Gazette 9 Dec 1868. Gamber, Wendy (2012). “'The Notorious Mrs. Clem': Gender, Class, and Criminality in Gilded Age America." The Journal of the Gilded Age and Progressive Era, 11, pp 313-343. "Indiana." New York Herald 14 Sep 1868. "Indianapolis." Cincinnati Commercial Tribune 9 Feb 1869. "Letter from Indianapolis." Muncie Telegraph 17 Jun 1871. "Marion County Criminal Court." Indianapolis Journal 7 Apr 1869. "Nancy E. Clem Dead." Evening Star 9 Jun 1897. "Nancy E. Clem!" Indianapolis People 20 Mar 1880. "The Abrams Trial." Indianapolis Journal 1 Sep 1869. "The Abrams Trial." New Albany Daily Ledger 3 Sep 1869. 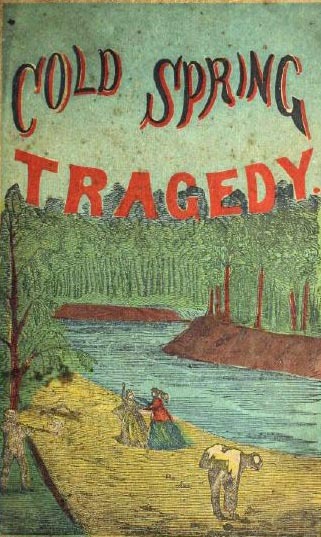 "The Cold Spring Tragedy." Indianapolis Journal 8 Oct 1868. The Cold Spring Tragedy: Trial and Conviction of Mrs. Nancy E. Clem. Indianapolis: A. C. Roach, 1869. "The Cold Spring Horror." Indianapolis People 16 Jun 1872. "The Notorious Mrs. Clem Arrested for Larceny." Cincinnati Daily Gazette 14 Jun 1878. "The Prather Case." Indianapolis Journal 7 Jun 1871. "The Spring Trial." Indianapolis Evening Journal 31 May 1872. "The Trial of Mrs. Clem." New Albany Daily Ledger 28 Jun 1872. "The Young Murder." New Albany Daily Ledger 2 Dec 1868. "The Young Murder." Indianapolis Daily Journal 3 Dec 1868. "The Young Murder Case." Cincinnati Daily Enquirer 7 Mar 1869. "The Young Murder Trial." New Albany Daily Commercial 3 Dec 1868. "The Young Murder Trial." Indianapolis Journal 24 Feb 1869.